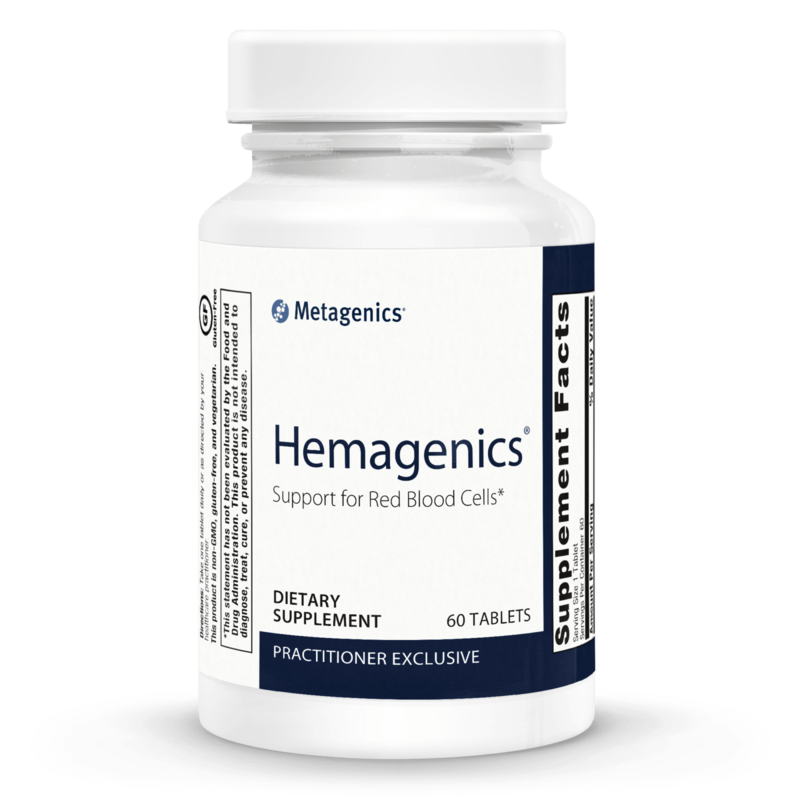 Hemagenics is a hematinic formula comprised of iron designed to be highly absorbable, succinic acid, glycine, folate, and vitamins B6 and B12. This product is non-GMO, gluten free, and vegetarian. Thiamin, vitamin B6, folate, vitamin B12, calcium, iron, phosphorus, copper, succinic acid, L-glycine. Other Ingredients: Microcrystalline cellulose, dicalcium phosphate, croscarmellose sodium, stearic acid (vegetable), silica, and coating (hypromellose, medium chain triglycerides , and hydroxypropylcellulose).